Photography is an art. It is, despite people treating us like it's a simple push of the button. That's what THEY do. They push a button and hope for something that can be filtered into an appetizing image. They treat it this way because as a community we've let this happen and fallen trap of working fast, shooting a lot, charging low and hoping people notice us. It did not work. A good photograph starts with a simple thought, like any art. My ideas come from every aspect of life. It does. Sometimes I will go for a walk, pick a musical artist at random and wander down the street. I watch life happen in front of me. People spin signs on the street corner, kids walk home from school, people in cars and on the side walk. I watch it to music and sometimes it makes sense and the perfect song matches the perfect situation. It sparks an idea and instantly I open my Evernote App and write everything down right there on the spot. This is one way I come up with ideas, just one of many different ways! Our work starts early on and then we develop it when we're watching TV, laying in bed, looking through magazines and in between bites of food. When you create art for a living, it never leaves you. So when you're on set or location, you'll notice this growing trend of people standing behind you taking pictures with their iPhone. This is a dangerous concept you have to control on your set and here's why. 1. Possible Situation: Thankfully this did not yet happen to me, but it's becoming a thing. Clients will send a BTS crew (Behind the scenes) and they'll take pictures. Harmless right?! If given no parameters it's a bad thing. Many clients pay a small amount for the day's expenses, a typical sitting fee for the photographers. But a photographer's true income comes from the copyrights that aren't shared with the hair, makeup, studio rates, etc.. There are promo rights, merch rights, commercial rights, buyouts, etc... 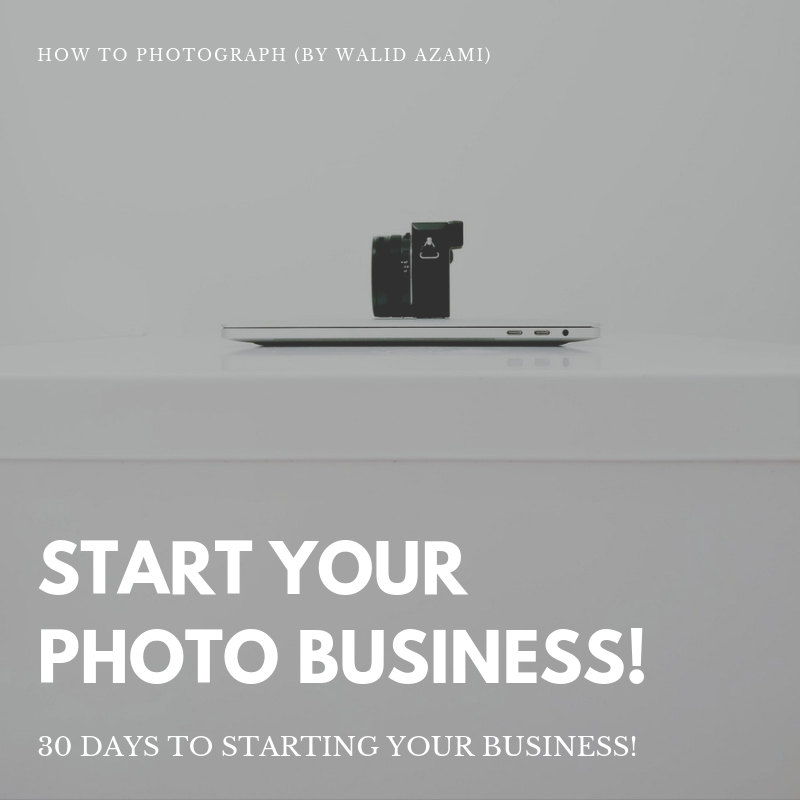 THIS is how you make the good money in photography. Clients do not want to commit to a particular number of images until they see the outcome of your photo shoot. This sounds perfectly fair, see the goods and then decide to buy your images and how many of them. Problem: Sometimes on accident, sometimes intentionally the BTS photographer will sneak a photograph from behind you. If it's natural light or a continuous light situation (movie lights), they will likely get what you get. They'll move around faster and cover all angles while it's YOU the photographer who works with the talent and poses them. They don't have to do this and rely on your hard work to get their shot. It was your lighting set up, your idea for the wardrobe, your entire creative idea. When it comes time to show your client the images from the shoot, they'll have already seen a good amount of them from their own photographer. Chances are their photographer signed a deal to hand everything over and the client will own that content outright. So why should they purchase your nearly duplicate image? They already own a very similar version at low rate. Solution: There are a few ways to remedy this. The first being that in your contract a BTS photographer is supplied from your end. This way you will control the situation and hand everything in at once. Both batch of photos compliment each other and none compete. 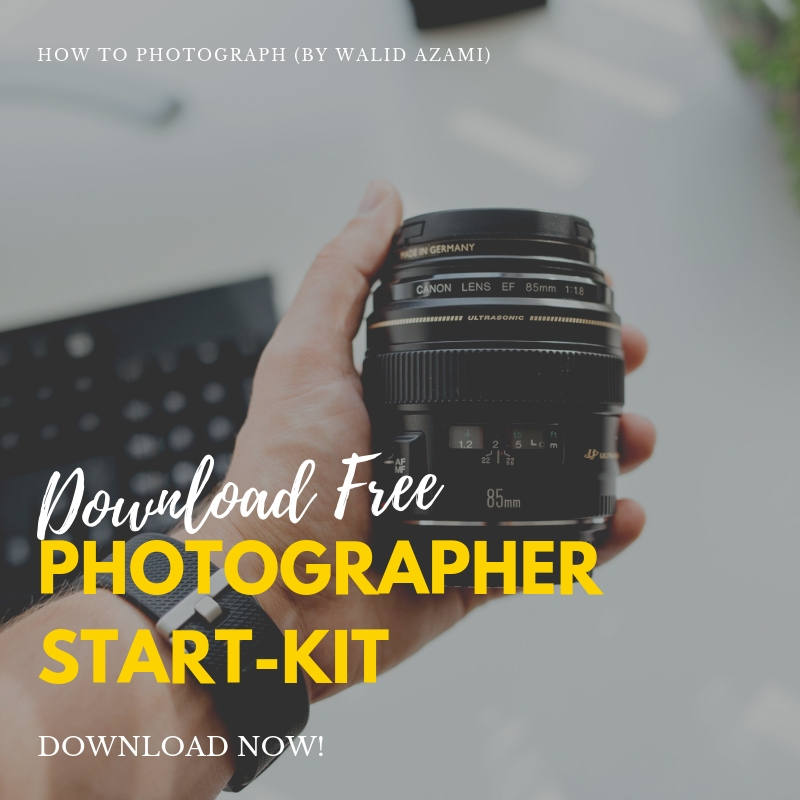 Another solution is introducing yourself to the photographer and welcoming them to your set. Got it? YOUR SET is where they are. Give them a little run down of the day and in there kindly ask they don't take any photographs from behind you. In fact, give them a few minutes before and after each set up to get what they need. Obviously at this point you can make certain his/her images are from the side or another angle which will not compete with yours. The third solution and hopefully it's remedied before we get here, but put your camera down. You do not raise your voice or make a scene. Trust me, the photographer placing their camera down will get everyone's attention. Tell the set you're taking a 5 minute break. Find the client and politely explain that you cannot have a competing photographer shooting similar angles as you. You don't have to explain more. They will get it! With this final approach you'll show the client that you're very much professional, in control, and cannot be pushed around. You will also not embarrass the other photographer in front of their peers. 2. Leaks: Instagram generation needs images RIGHT NOW. They want it fast, hash tagged to death and up in a minute. The double-edge sword that is instagram can make or break you in a shoot. You want everyone to know what you're doing and that you are busy, but when it's right only! Having someone stand behind you taking similar pictures and posting on their social media could kill a shoot. What if you want to submit to a magazine? Why should they take it if it was already revealed. Sometimes the client wants a little post work on their body, and releasing this type of image is embarrassing. How can you solve this and how do I do it? I gather the crew for a pow-wow before the shoot. I give them a quick rundown of the day, thank them for their hard work and politely remind them to not post anything online unless the artist/mgmt post first. Please do not reveal any of the looks or concepts and it works. People want social media followers but they want a paycheck more. They'll listen and most people are good, they just have no idea about the consequences. 3. Focus: Keep your focus by eliminating clutter. This means you should have no one behind you. The model should only look at you, not the manager, not the BTS photographer, not the PA, not anyone but you and them. There's a great connection that happens here when the mood is right and you should fight to maintain this optimal situation. Respect the process that got you there on set. Like I said, you didn't just stumble upon a shoot and someone handed you a camera. You had an idea that resulted from life and you hatched that idea to something tangible on set. This process is the art. Art is in the process. The beautiful picture is a byproduct of your creative soul putting this together with other creatives. Protect your art and hard work. The client will respect you more and in no time we'll remind the world that we are not just a bunch of button pushers. There's a reason for everything in that photograph, and it took a lot of time and your creative spirit to put it together. You will NOT let someone with a camera step in and steal your shot, your income or your art. No, you will not! 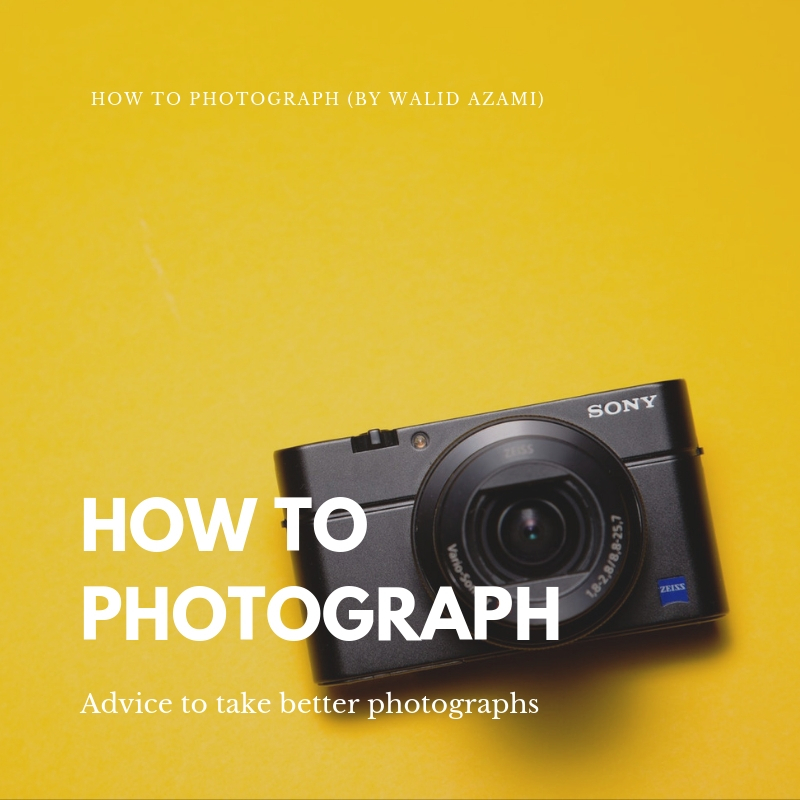 Walid Azami is an LA based photographer and director who contributes regularly to album packaging, commercial shoots, magazines and more. 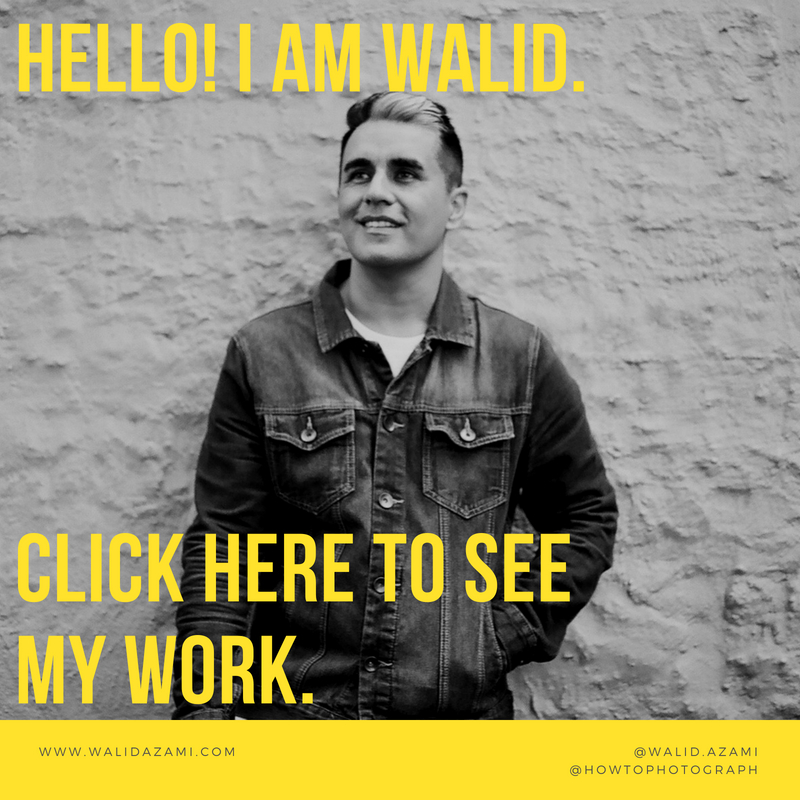 For more on Walid please visit WalidAzami.com or connect on Instagram.